I hope everyone had a great Easter! Ours was pretty low key and I was very happy about that. 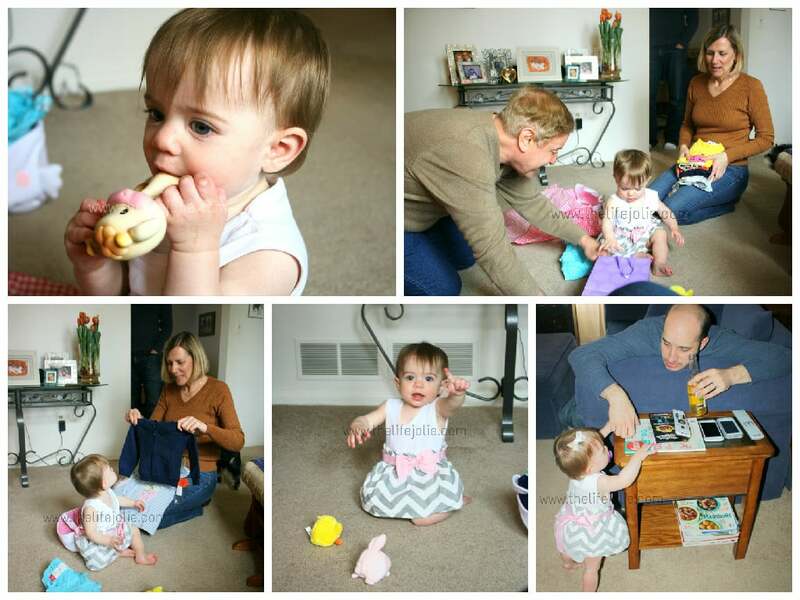 Between teething and A’s current leap, her temperament was hit or miss (definitely more hit once we got to my parents house and she was able to get some quality time with extended family!). Our morning officially started once J woke up (since he’s constantly allowing me to sleep, I figured I should let him get a little more sleep for once). I went downstairs and grabbed A’s Easter basket and Macie’s toy that we picked up for her. 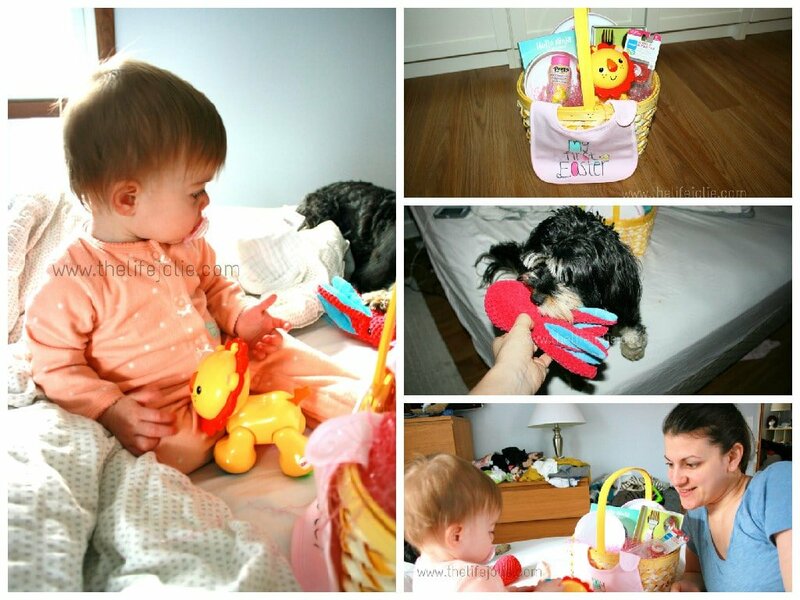 A seemed mildly interested in her Easter basket before she lost interest, which seems about right for a 9 month old! We hung out all morning and gave A her morning nap. Around early afternoon we headed over to my parents house to hang out with them, my sister, my Grandma and my Uncle. A was once again spoiled with more clothes and toy (in addition to all of the treats that J’s family sent- she is one lucky gal!). We feasted on lamb and ham with baked artichokes, peas, carrots, mashed and potatoes. Everything was delicious, of course. My only regret is that we didn’t make it to church. I have no valid excuse for not going, only my own disorganization. But the purpose in importance of this holiday certainly never escapes me. How was everyone else’s Easter? 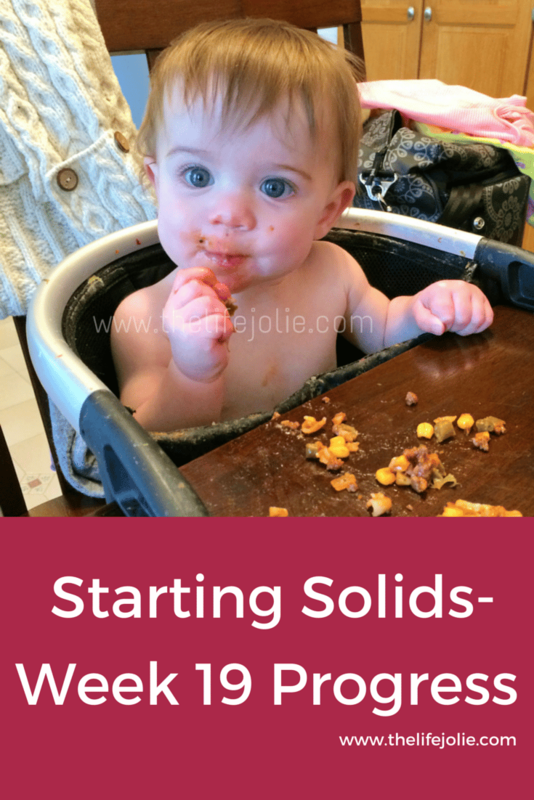 If you like this post, please consider following The Life Jolie on Facebook for more updates.